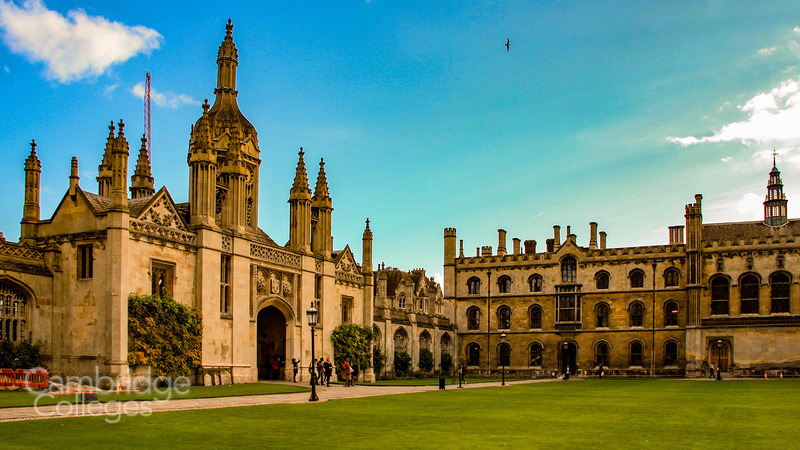 Primarily located on land stretching between King’s Parade and the river Cam, in central Cambridge, King’s College is amongst the oldest and largest colleges in the city of Cambridge. 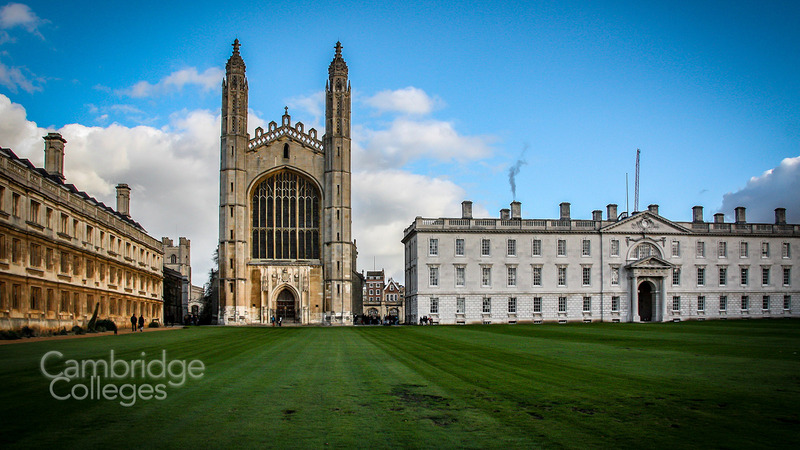 It is certainly one of the most famous and recognisable – for many people who have never visited Cambridge, the images that they associate most with Cambridge University are those of King’s and its famous chapel. Founded by Henry VI in 1441, it is rumoured that he refused to set foot in the city to lay the foundation stone, because he was so unpopular in Cambridge at the time, that he feared he might be assassinated if he did so. The fountain in the centre of front court features a statue of the founder of the college, in his honour. His unpopularity was not exactly surprising – he’d just ordered the demolition of approximately 25% of the medieval city in order to make way for his prestigious college. This land included the city’s thriving market place and led all the way down to the river bank, restricting access to what was an important trade route in the process. The compulsory purchase of the land to make way for the college took around 3 years to complete. The college was conceived as a demonstration of royal power and wealth. Sadly for Henry VI he never lived to see it completed and, as hard as it is to believe, the college as it stands today is nowhere near as grand as he had imagined. The original location of the college was to the north of where it now is, on the University site known as the Old Schools. Those buildings were sold to the university in 1828 and all but the gatehouse that faces Clare college were demolished, as pictured below. 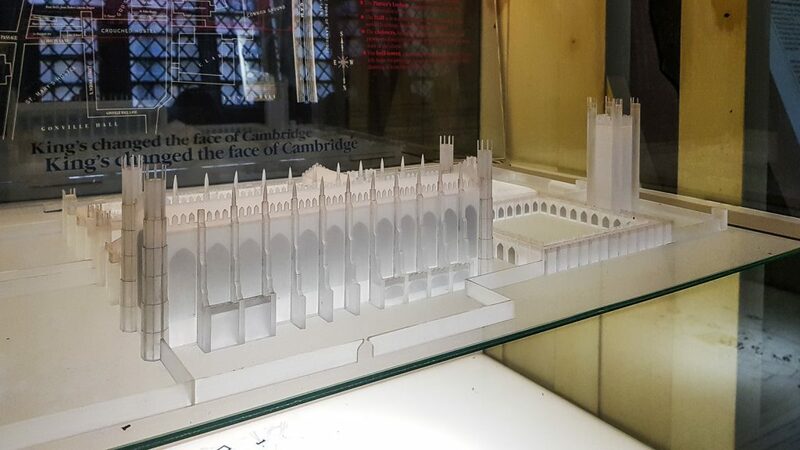 A model of the original design of the college, as well as plans and documents of how it was originally intended the college should be built, can be found on display within the college’s iconic chapel. 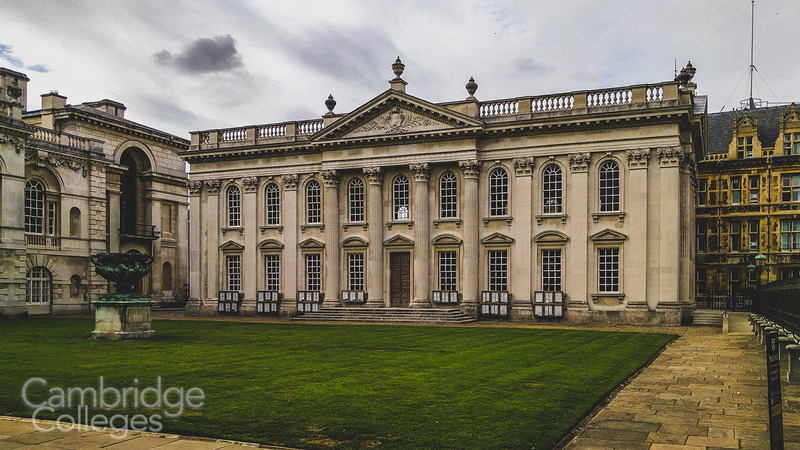 The Gibbs building (Fellows Building) was added to Front court in 1724 by James Gibbs, one of Britain’s most influential architects, whose works include St Bartholomew’s Hospital in London, the Radcliffe Camera in ‘the other place’ and Senate House in Cambridge. People sometimes confuse the latter with the Gibbs building at King’s, an easy mistake to make given the similarities in their design and close proximity to each other. Front court was completed in 1828 by William Wilkins who added the front screen and gatehouse, thereby enclosing the court from the outside. 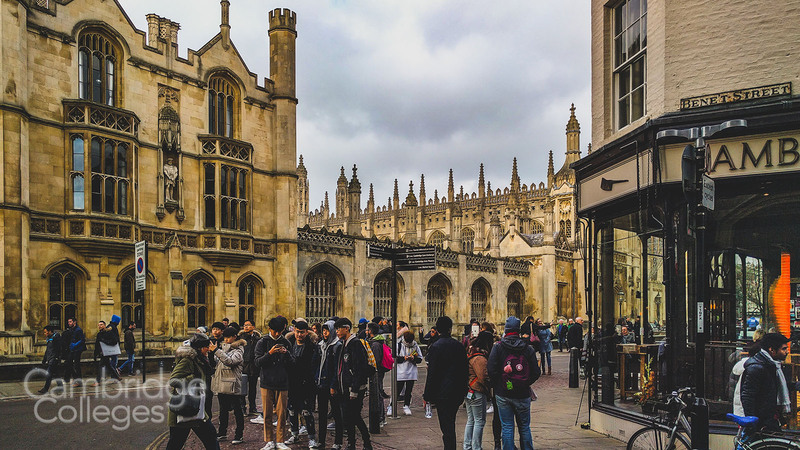 Originally established solely as a university for boys who had attended Eton college – also founded by Henry VI, in 1440 – King’s was a college for the sons of the elite, the ruling classes. As a result there was no requirement for entrance exams. In fact, because the education the boys were receiving was considered to be of such a high standard, they were never required to take any exams at all during their time at King’s. Those same students went on to hold posts of power and authority either in political office or as members of the royal family. 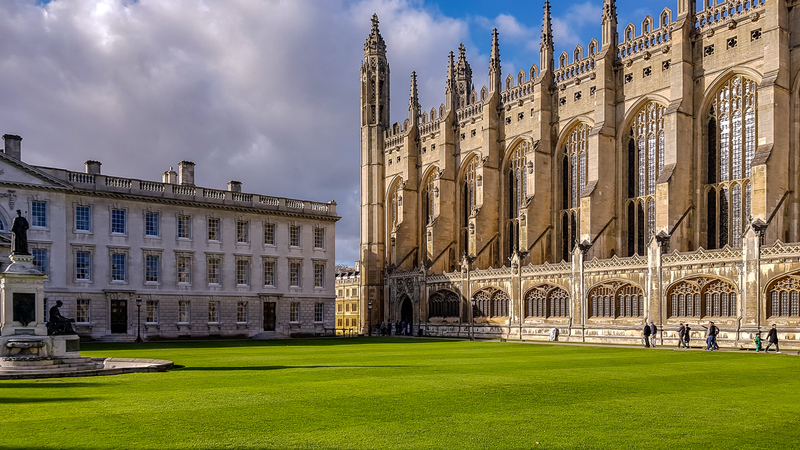 Over the years the iconic King’s College has evolved into a focal point for tourists who come to wander around the hallowed halls, soak up the centuries of history and marvel at the magnificence of the dramatic chapel. Such a focal point in fact that one student was overheard saying to another (presumably a fresher) “if you wait for people to finish taking their photos, you’ll never get anywhere” as they were making their way through the college grounds. The iconic King’s college chapel seen from within Front court, inside the grounds of the college. The Gibbs building is to the left. Every year on Christmas Eve the service ‘A Festival of Nine Lessons’ is broadcast from the chapel to millions of listeners all over the globe. The choir service at King’s College is another draw for visitors. Henry VI started the service with the intention that students should at all times be grateful for the divine grace of the Almighty. The choir is still comprised of students, and provides a sense of history. Students who get scholarship aid for learning at the university are a part of the team of choristers but anyone can volunteer for the choir service. Visiting the college library provides you with interesting facts about King’s. You can also find a fascinating list of accolades that the college has amassed during its 550+ years of history. Why not pay a visit and spend some time viewing some of the rarest manuscripts that are almost as old as the university itself. It’s advisable to check the opening times before visiting as the library is closed to tourists during exam times. 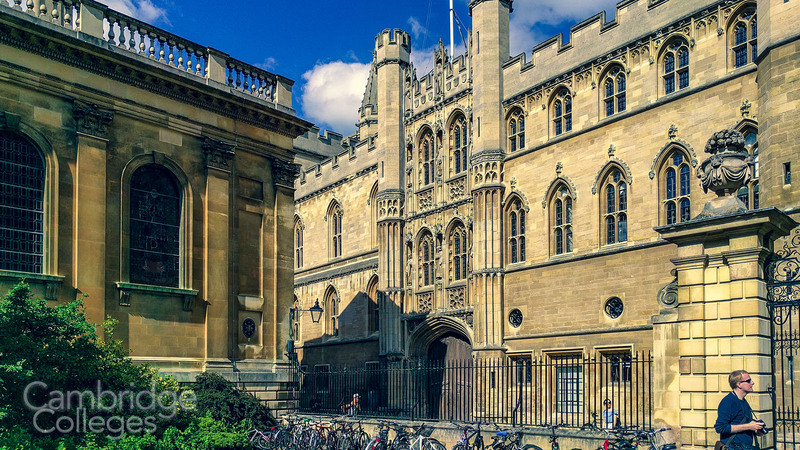 King’s College is steeped in hundreds of years of history, it really is an unmissable destination if you’re planning on visiting Cambridge.